Ab exercises you do on the floor, right? Nah, there’s one you don’t and it can make for an interesting change in your ab workout! That exercise is the dumbbell side bend and if so far you did all your ab exercises on the floor will feel very different. 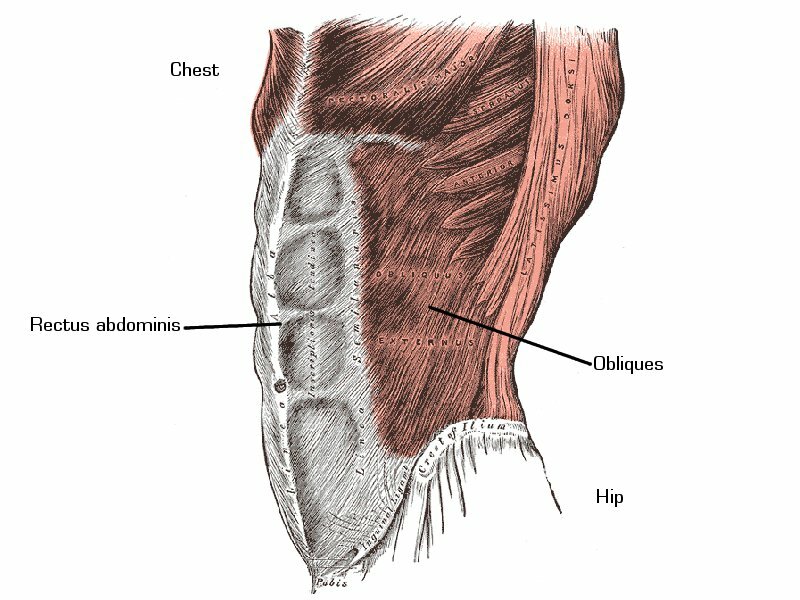 Your “main” ab muscles (rectus abdominis) and the obliques located to their left and right. Once more: do not use a second dumbbell! It becomes a counterweight and reduces the effectiveness of side bends a lot! And to make sure you don’t start these in the hopes of reducing your love handles: spot reduction doesn’t work. Side bends and other ab exercises train the ab muscles, but don’t reduce the fat covering them!